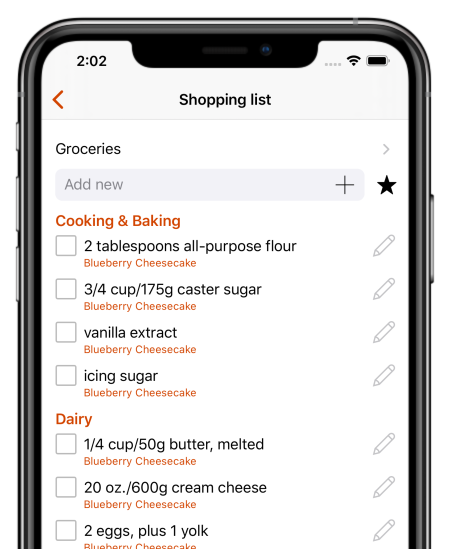 Recipe Keeper is the quick and easy way to collect, organize and share all your favorite recipes across your mobile, tablet, PC and Mac. 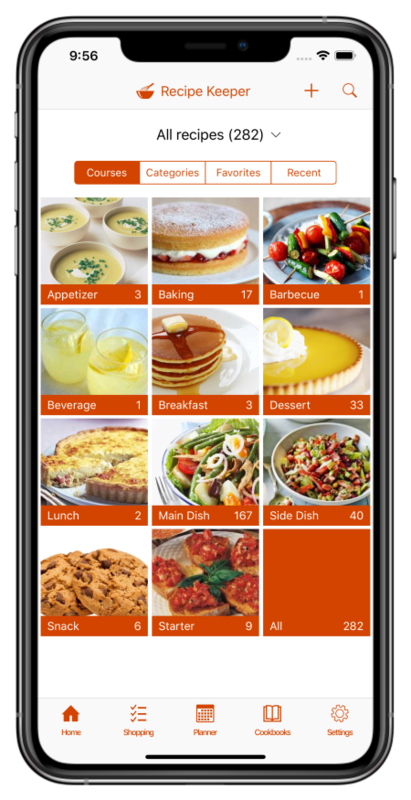 The all-in-one recipe organizer, shopping list and meal planner available across all your devices. Collect all your favorite recipes in one place and organize them just the way you want. 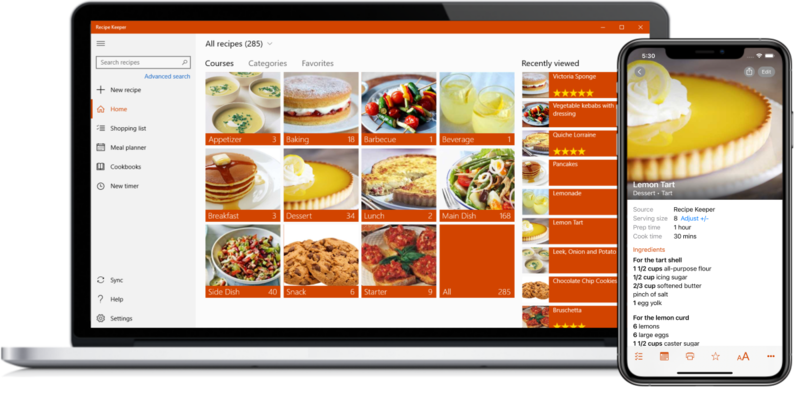 Add your own recipes, import recipes from websites or snap a photo of a recipe from a book or magazine. Add recipe ingredients to your shopping list with a single tap. Create your shopping list on your computer then browse in the store from your mobile. Weekly and monthly meal planner to help you keep on top of things. Take the stress out of deciding what to cook every night. Share your recipes with your friends and family by email. Share to your favorite social networks including Facebook, Instagram & Twitter. Sync your recipes across your iPhone, iPad, Android phone and tablet, PC and Mac. Your recipes are always with you whether online or offline. Have a question or got a suggestion? Let us know - we love hearing from you! Enter your recipes with as little or as much information as you like. Copy and paste recipes from your existing documents or apps. 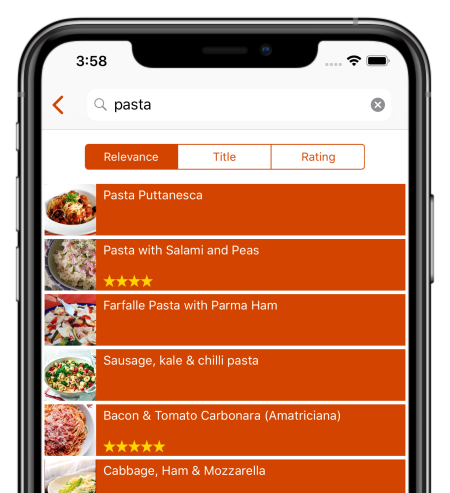 Categorize your recipes by course and category. Add photos, rate your recipes and flag your favorites. Search for recipes on the web and add them straight to your collection. Hundreds of popular recipe websites supported. Once added you can customize a recipe to suit your needs. 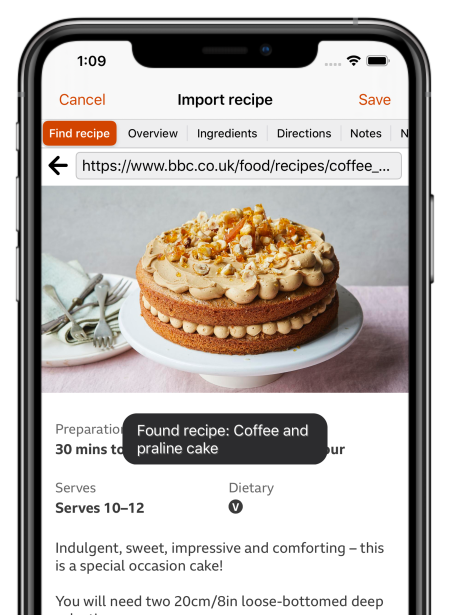 Quickly lookup your recipes by name, ingredient or directions or simply browse your recipes by course, category and rating. Got some leftovers in the fridge? Search for a recipe to use them up. Cook more of your favorite meals and rediscover those long forgotten recipes to make meal times interesting again. Share your recipes by email or to your favorite social networks. 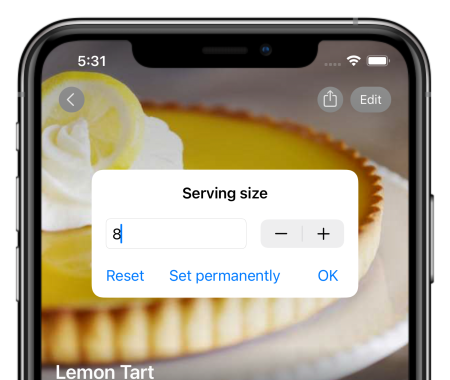 Add recipes from other Recipe Keeper users with a single tap. 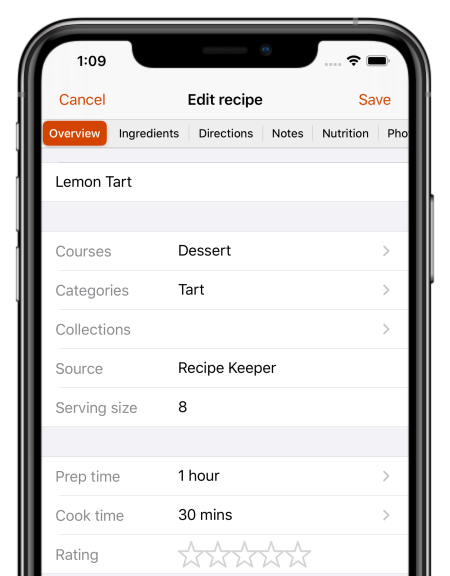 Adjust a recipe serving size up or down and let Recipe Keeper automatically recalculate your ingredients for you! Fully featured shopping list that automatically groups your items by aisle. Supports multiple shopping lists - create a separate shopping list for each store. Quickly add your regular items to your list with the favorites button. Save money by only buying what you need. No more trips back to the store for that one thing you forgot. Integrated weekly and monthly meal planner allows you to plan your meals in advance. Add all the ingredients from your meal planner to your shopping list in one step. 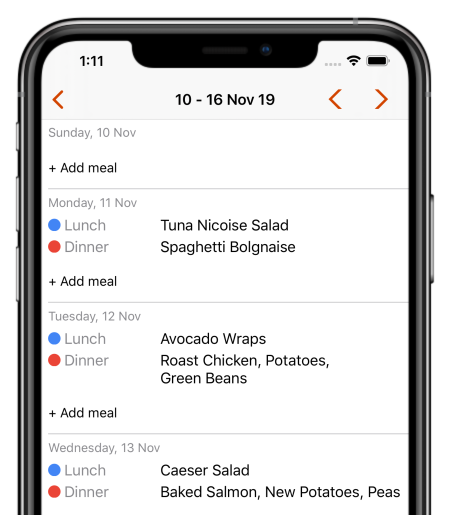 Email, print or share you meal plan with all your family. Get rid of that "what should I cook tonight?" feeling. Try Recipe Keeper free today!